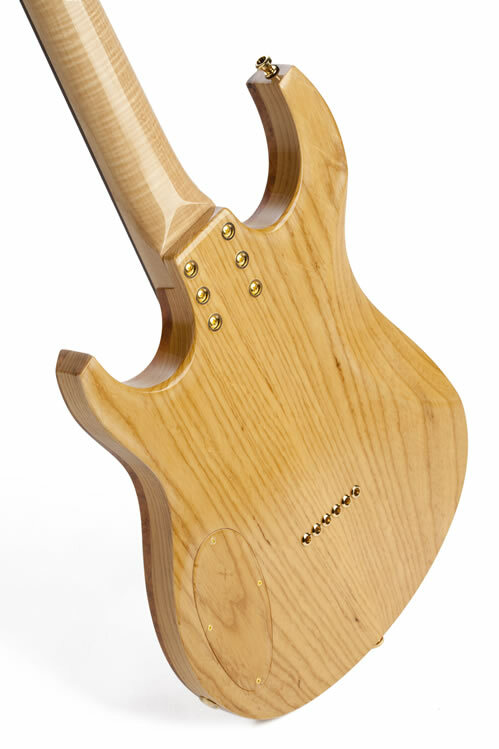 The Nova 24 (24-fret version) was conceived parallel to the Zooma and contains much the same essential design features. 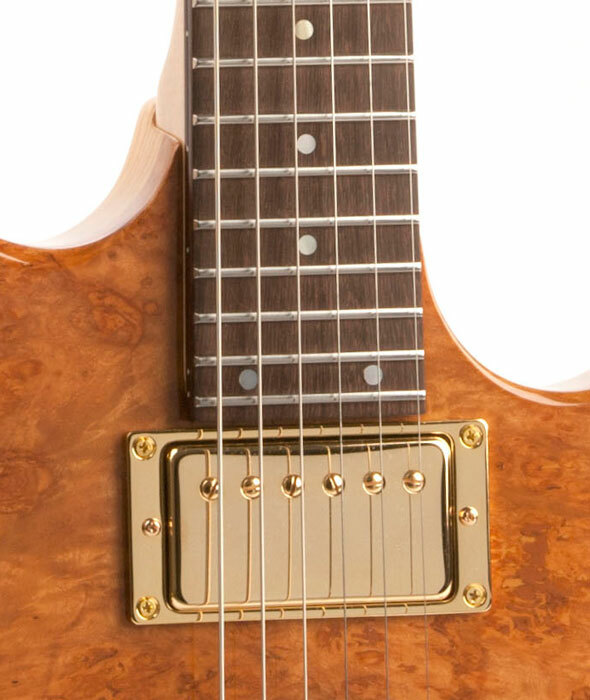 The shorter scale corresponds approximately to Gibson's 625 mm/24.625" standard. 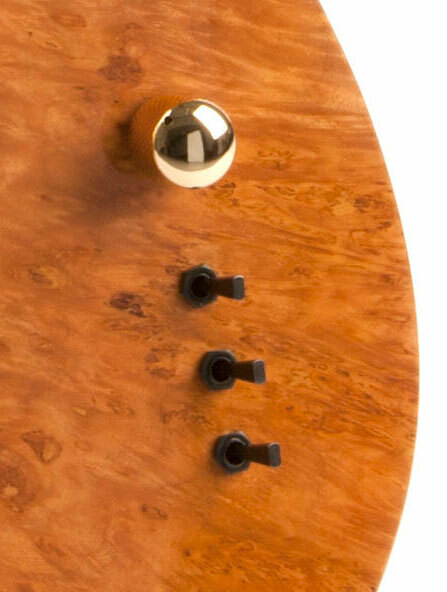 Katalox wood looks very similar to wenge, but is even harder, with finer pores. Ideal for fingerboards. 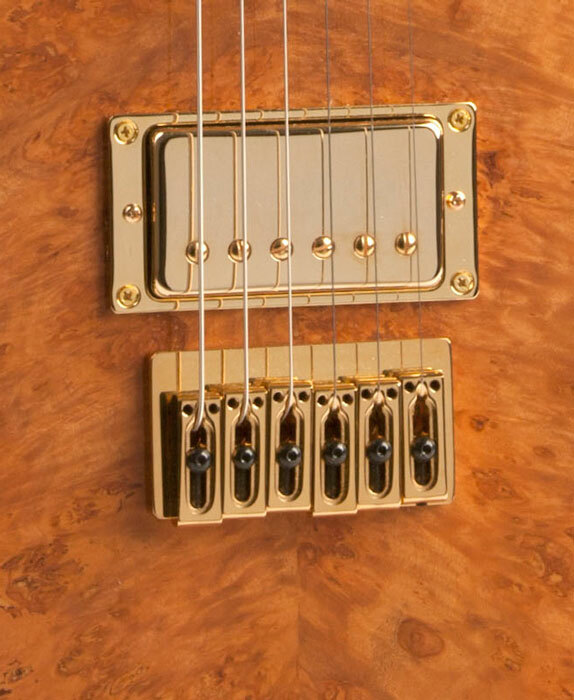 The Bender humbucker pickups have a high output with a warm, well-defined tone. 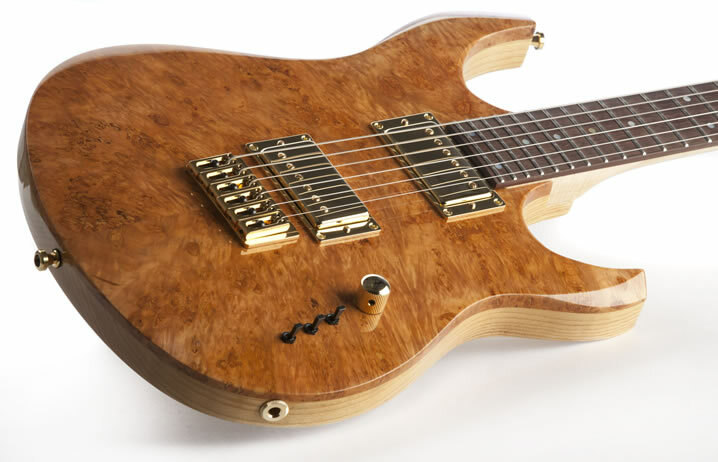 They are custom-made by the famous Berlin guitar electro-technician and Kuhlo Guitars/PlekHaus team member Michael Bender. 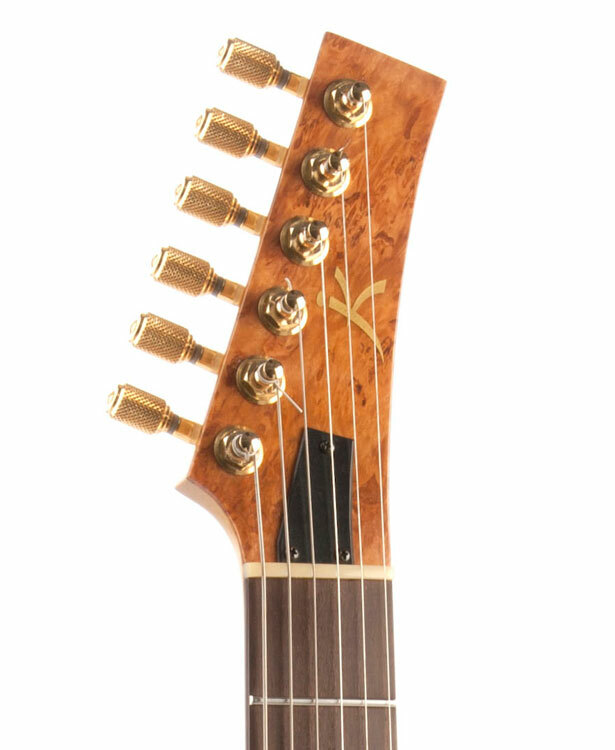 Like the Zooma, the Nova 24 is equipped with stainless steel frets in 3 different widths. The aim here being to provide optimal haptics and playability in the higher playing positions. 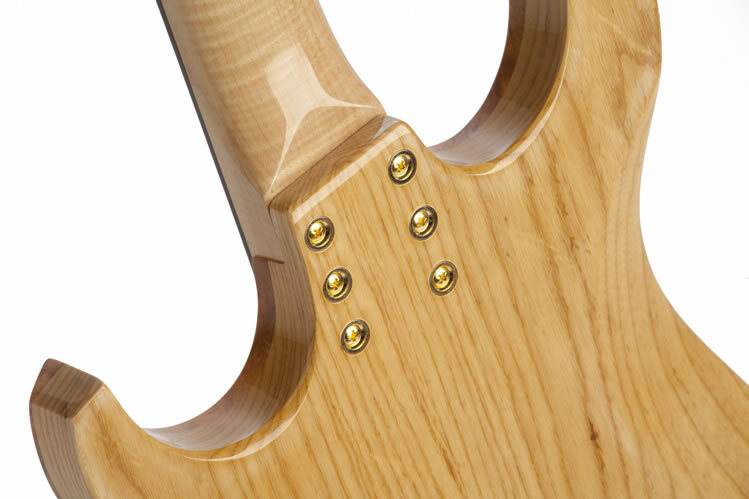 Like all my guitars, the Nova has a built-in fingerboard fall-off of 50 (a plek-internal logarithmic value). 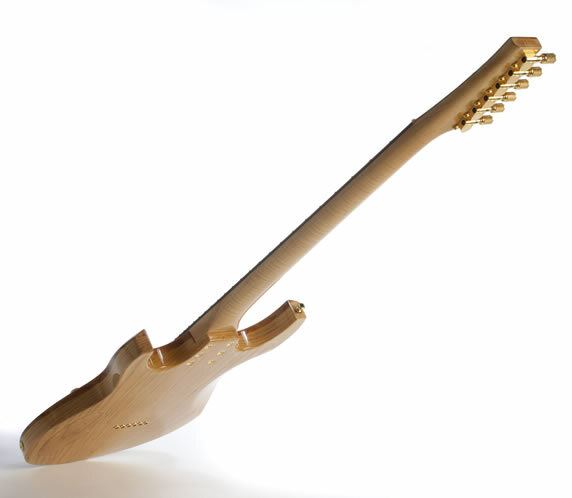 This means that the ftretboard is flattened from the 12th fret up, so there is a minimal increase in distance between the strings and the following frets. 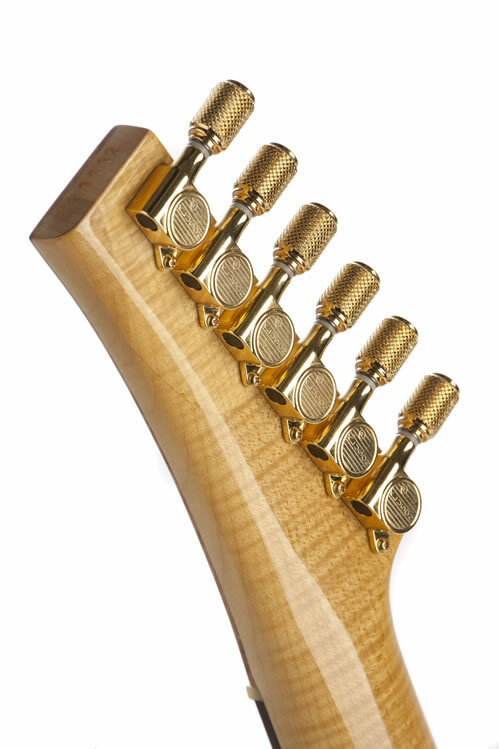 The result is an avoidance of fret-buzz/fret-out in high positions with ever closely spaced frets, without recognizably leaving the overall linear action.